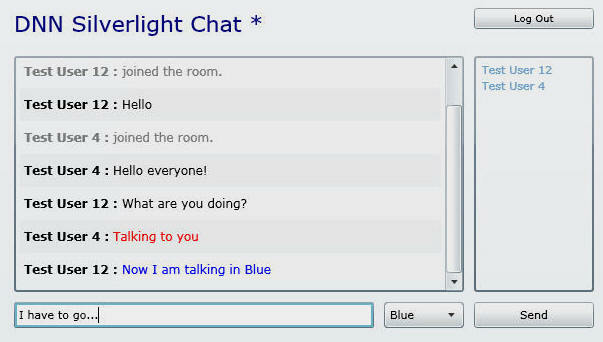 DNN Silverlight Chat is designed to be a simple easy to configure chat for a small number of users. The module uses standard web services on port 80 so firewall problems are not an issue. The entire application that implements real-time communication is constructed with a relatively small amount of code.